Well, this is the 501st post. I began writing this blog, now called Unspoken Politics, on March 30, 2012. Since then, the blog has averaged two posts a week. Moving to a four-year university has reduced the flow of new content- not necessarily because I have less time, more that my work now includes a lot more writing that is similar to this blog. Anyways, this is a welcome milestone, and I hope the next year has a noticeable increase in traffic and wider exposure. Author Andrew MackayPosted on July 5, 2016 July 6, 2016 Categories Meta, PersonalTags blog, meta, milestone, unspoken politicsLeave a comment on 500 posts! 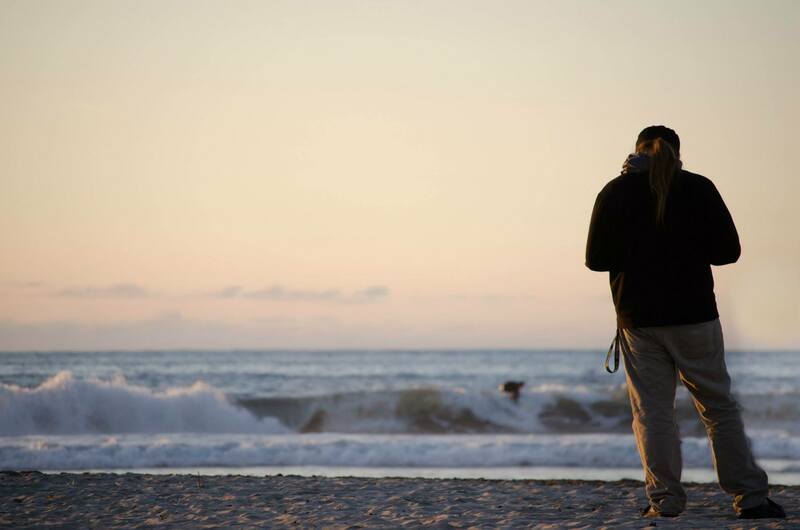 The author looks out over the Pacific. Here I am in southern California. Celebration of Light fireworks show. Vancouver, June 30. The trip is over, and I have come back to the United States. Here’s a gif I made of the epic Celebration of Light fireworks competition that Vancouver has each summer. Panorama of mountains west of Mount Whistler, British Columbia. By the way, you can click on any of these travel photos to see the big version. These are all huge pictures, you just have to keep them to a certain width to fit within the blog template. Coming back into civilization, it is impressive how quickly you go from having some sense of familiarity with strangers to gaining complete detachment and anonymity. For most of this trip, there has been only one major road, with junctions often hundreds of miles apart. Thus you may pass a car or some cyclists, or they may pass you. At some point down the line, you will see them again. There is a sense of shared journey even if you don’t know anything beyond their car and the origin of their license plates (I played the game, and ended up with 34 US states and nine Canadian provinces). Whistler is a giant tourist facility, even in summer. Besides mountain bikers and upscale shopping types, huge summer programs ferry blue-hatted upper-middle class children to the chair lifts and from activity to activity. This is the familiar feeling: to be lost amidst a large crowd going a million different directions. Even at home in the Bay Area, this is the environment I live in. At some point there are too many people and too many agendas and destinations. It feels odd to come from rural British Columbia and enter the system as a temporary outsider. No wonder people have culture shock when they move to a city, or from a rural environment to a developed country. 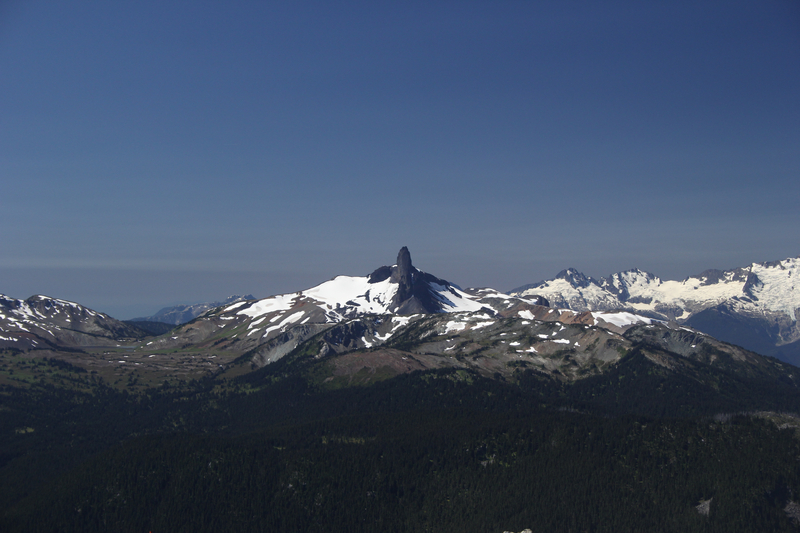 Black Tusk, Coast Mountains, British Columbia. The natural scenery is now behind me, to be replaced tomorrow with the spectacle of the Vancouver Celebration of Light. 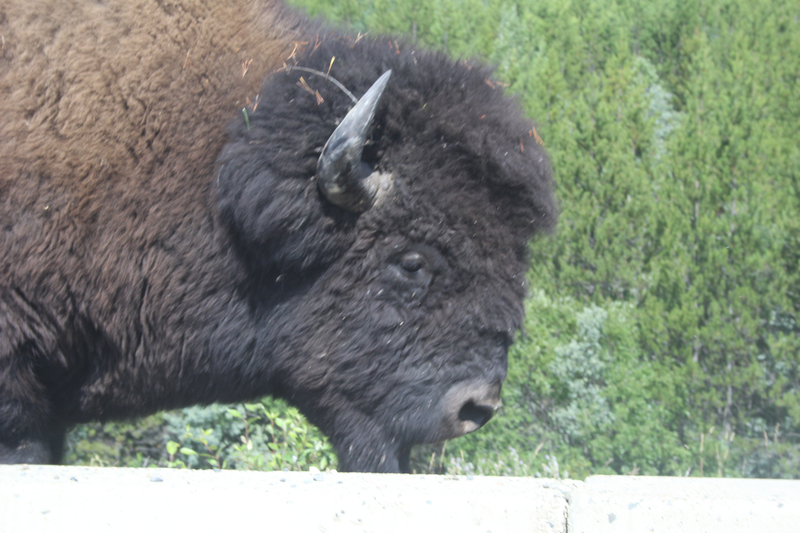 Wood bison in profile. Northern British Columbia. The Wood Bison is enormous. It’s a subspecies of the American bison, which gringos from Europe called buffalo. They are rather widespread in Alberta and the Northwest Territories, but not so much in British Columbia. Unfortunately, a large portion of the population are killed each year in collisions with cars. Not surprised, as this guy was spotted walking down the road- the white at the bottom is the partition between the road and the gravel side. What you learn from several days in rural B.C. is that driving at night is a horrible idea. Besides the windy roads and frequent rain, there is also forest fire smoke reducing visibility, and several huge animals wandering about that you do not want to get in an accident with. Besides bison, there are stone sheep, caribou, moose, and both black and Grizzly bears. For various reasons, they all tend to congregate on or near roads. As a tourist you often have the luxury of traveling in the day and hunkering in for the night. Those that by necessity travel during the night have much danger to consider. 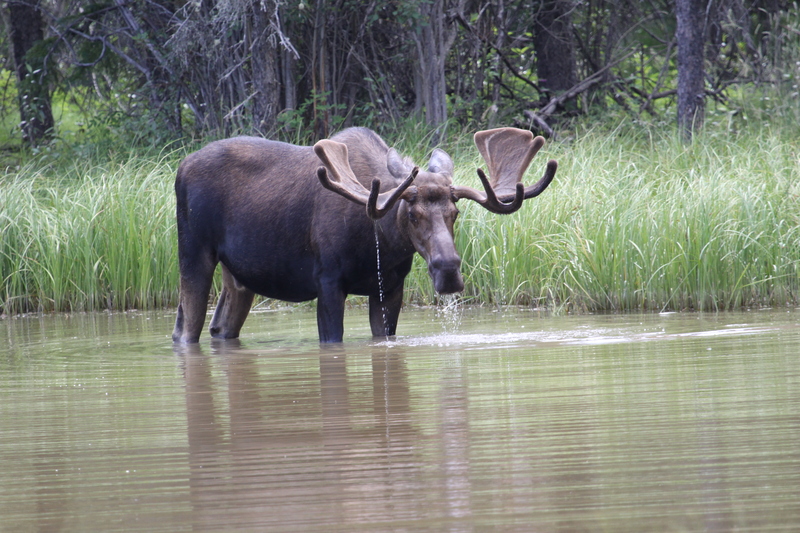 An adult male moose grazes in a pond, west of Muncho Lake, British Columbia. Moose are big dudes. This male was full-size and very intimidating when he wanted to be. This was taken with a very long lens- he is in the rear of a lake next to the Alaska Highway. The travelers next to us said he had been in the same place the day before. With a look like that, he was clearly too powerful to worry about humans with cameras. Compared to most modern freeways, the Alaska Highway is still very much in wild country. If not purely wild, it is wild-adjacent. Even though now it is a modern, fully-paved artery for business and tourism, no effort is needed to see vast wilderness and very little to see iconic animals of the Canadian West.